Planning a wedding is NOT easy. Now Imagine planing a wedding where your guests live in different countries and they speak different languages!!! 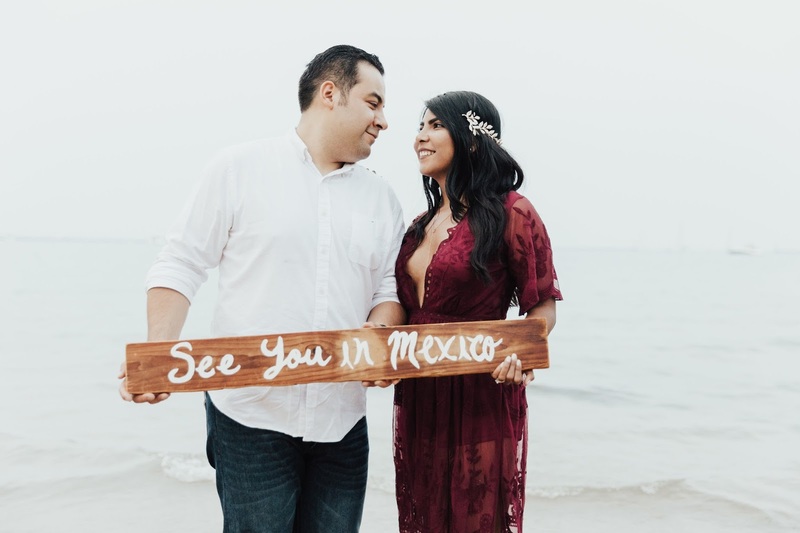 Since the very beggining we decided we would get married in Cancun , not only because we met there but also because it's a good neutral place where all of our friends and family can easily travel. 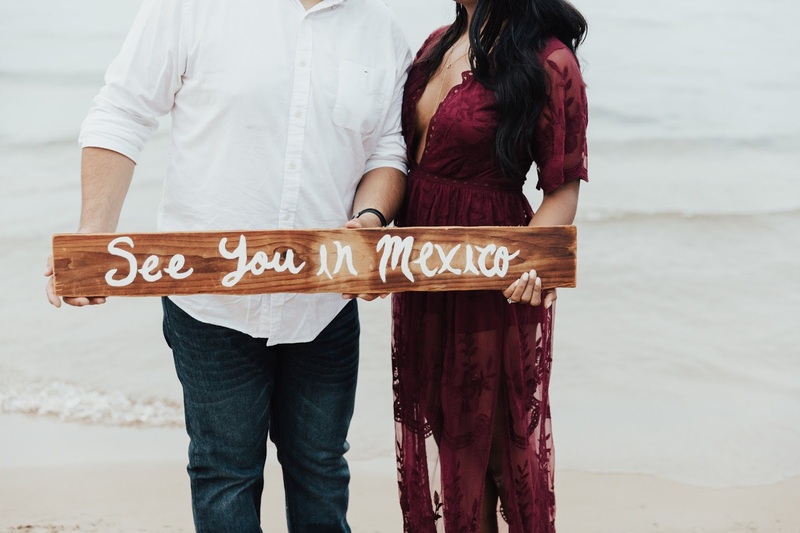 I booked my venue about 2 months ago, and ever since I've been trying to find an easy way to make and send the save the dates. Every idea we came up with was either inconvenient or kind of expensive. 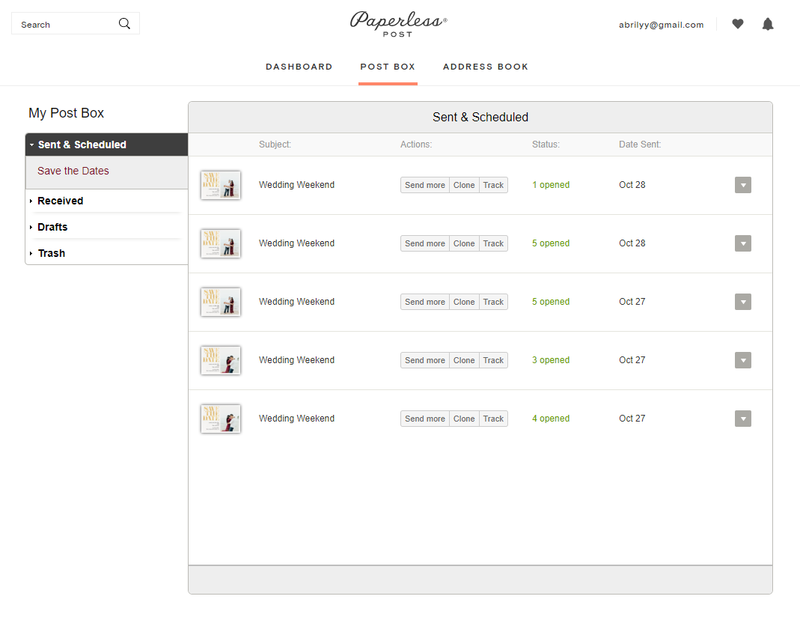 Then a friend of mine recommended me Paperless Post , and shortly after that they reach me out to collaborate with me. It was like the universe giving me a signal so I decided to check them out and go for it. 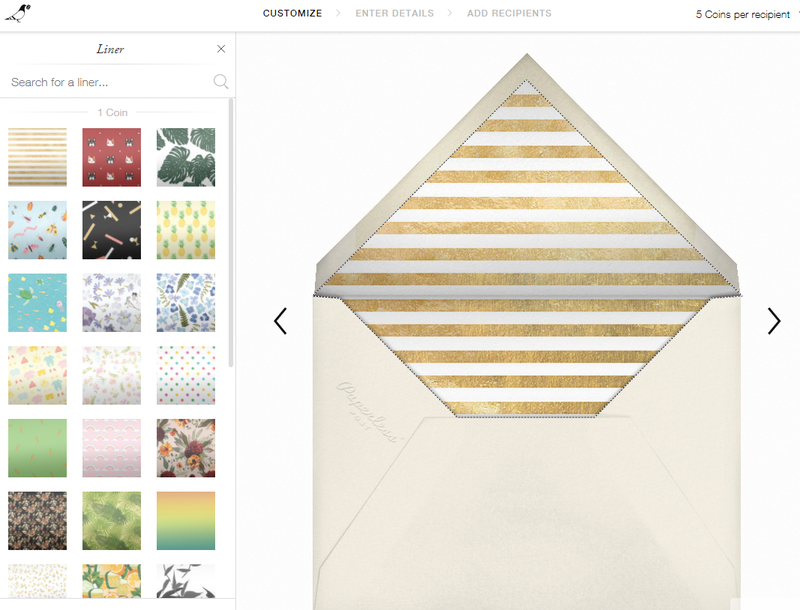 If you haven't heard about paperless post , you're missing out! 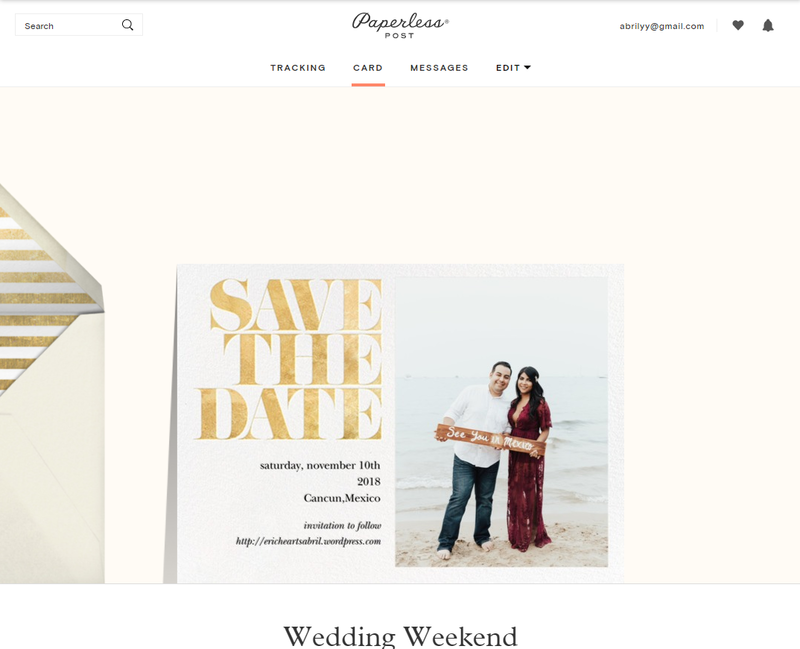 It is a website with tons of online invitations and cards. Best part is that you can customize almost every aspect of them. That was very convenient for me because it allowed me to create different variations of the same card depending on the language or country of my guests or wheter they were family or friends. 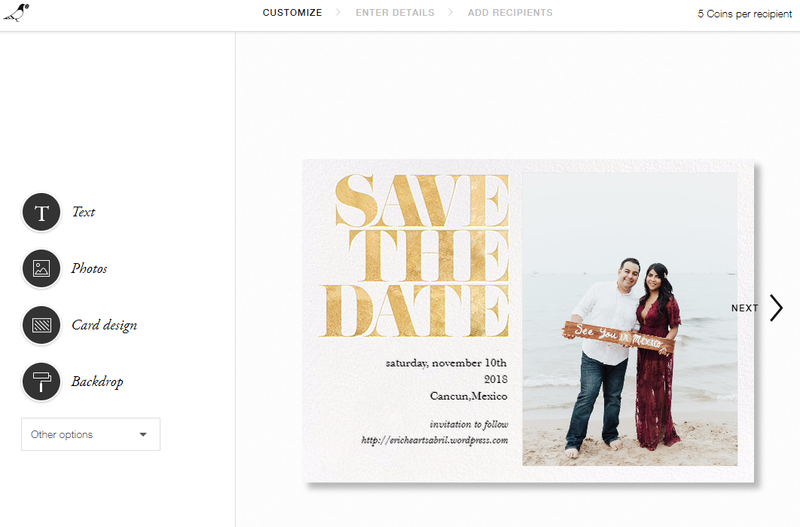 Creating my save the dates in Paperless post was super easy. First I chose a simple gold and white card with the space to add a picture. Then I added an envelope and line that matched the design of my card. Any invitation in Paperless post starts with a base price in coins for the card . 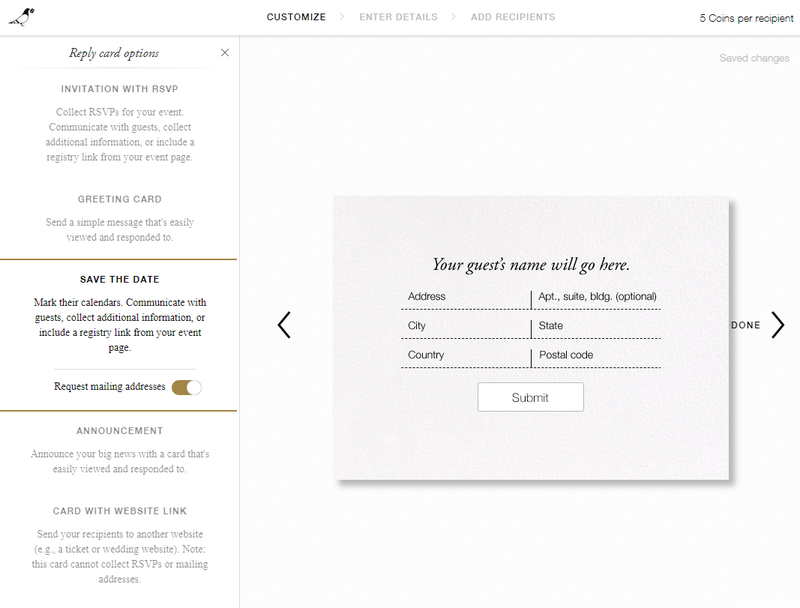 The more you want to customize the details on your invitation the more coins you'll have to use for each one you send. My final invitation was 5 coins, but you can easily make one for less choosing one of the many free card designs they have. For a reference 1000 coins are $90. If you do the math that's not expensive at all! The last step was to chose the type of reply card. 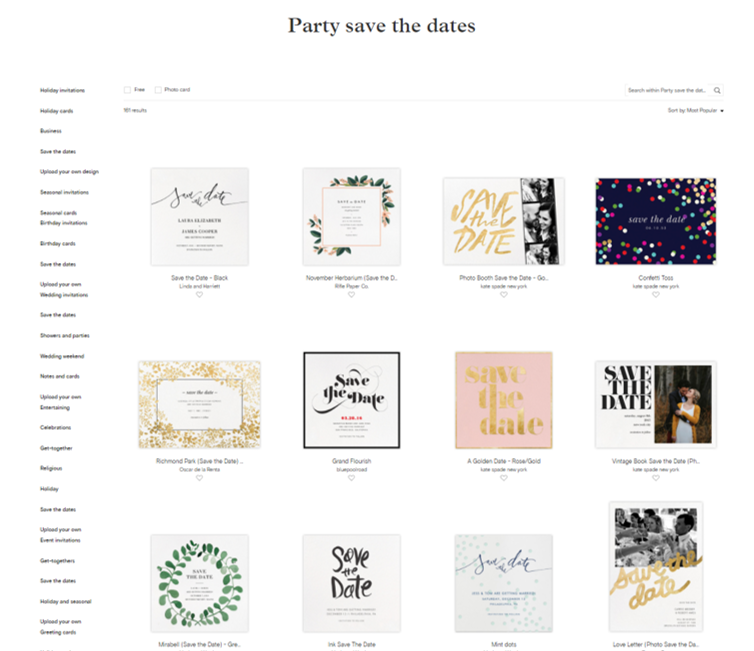 The "save the date" option is the one that allows you to not only send to your guests the event information with more detail. You can also request information from your guests, like their addresses. 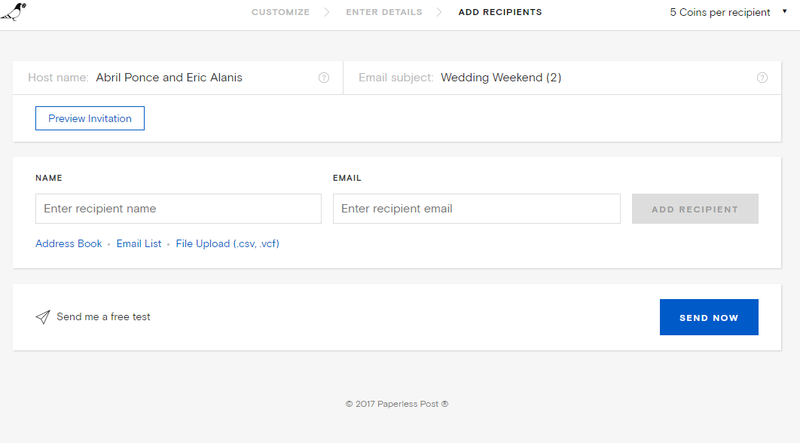 This option also has an entire blank space where I added my wedding website and wedding hashtag direct link to instagram (#ericheartsabril). Finally I added my guests names and email addresses and sent the invitations. Easy piecy!